Samurai Gunn 2 features a new, expansive adventure mode and an updated versus mode. Adventure with a friend through a medieval metropolis on the brink of crisis—fight or fly past your foes to discover the mystery behind Gunn City's ghostly threat. …or battle together with a group of 2-4 friends in versus with improved controls, new levels, and new characters! A princess, a golem, a samurai knight, and a homeless girl all have a part in rewriting the fate of Gunn City forever. 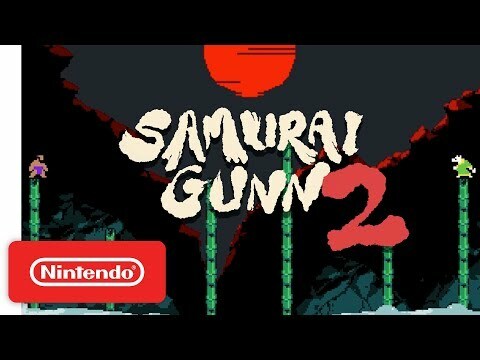 The upcoming Samurai Gunn 2 Switch release date is expected to be Q2 2019 in the US and the UK. Notify me when Samurai Gunn 2 is available.